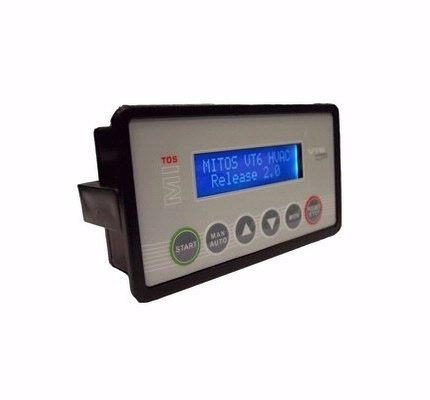 Remote operator terminal with LCD display: code MITOS MITOS VT-6 and VT-6 AIR. Start/stop control, frequency control, monitor and reset alarms, customizable front, compatible with ALL Inverters. MITOS VT-6 AIR: most advanced PID and Pressure Transducer 0-999 or 0-3000 mmH2O integrated and regulating of flow control, pressure or velocity. Catalogues viewable in the pages on the side!